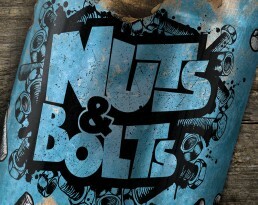 It’s not often you get to start from scratch with a brand new brewery, but when we were approached by Nick and Antony we embraced the opportunity. 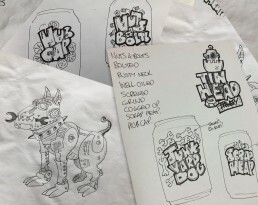 After many a sketch pad was filled and beer was drunk, we narrowed our ideas down and created what we think is a quality reflection of the brewery, its beers and the people who run it. 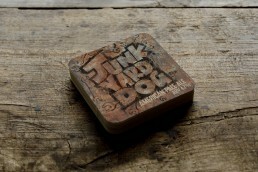 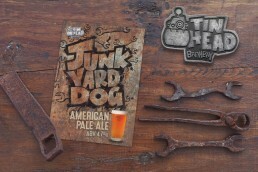 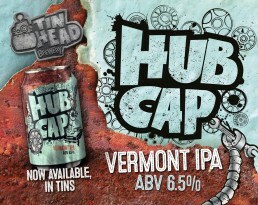 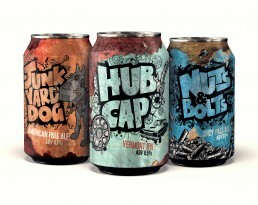 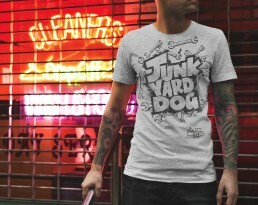 The brand we came up with was Tinhead and the three core ales, Junk Yard Dog, Hubcap and Nuts & Bolts.